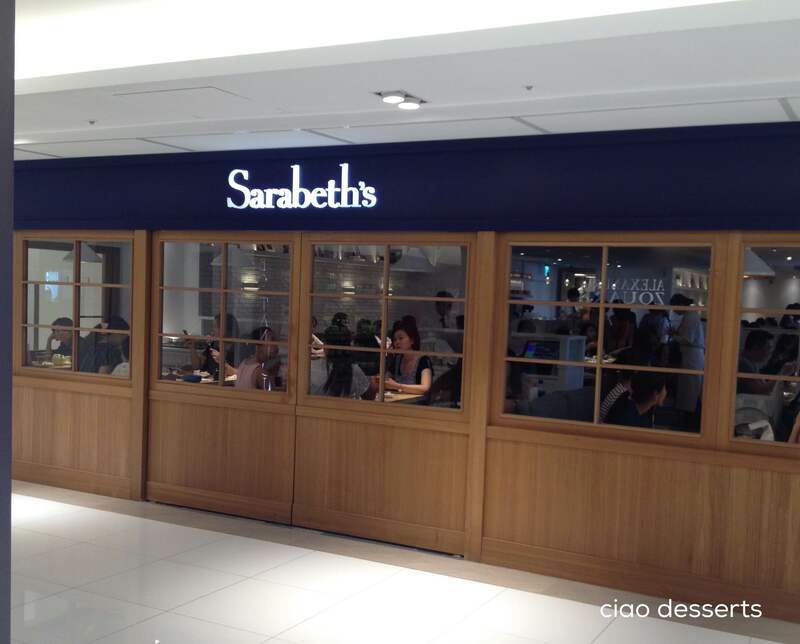 Field Trip: Sarabeth’s has arrived in Taipei! I finally, finally had the opportunity to try Sarabeth’s in Taipei! We wisely waited until the excitement had faded (a little bit) and we were able to get a table in about 30 minutes. 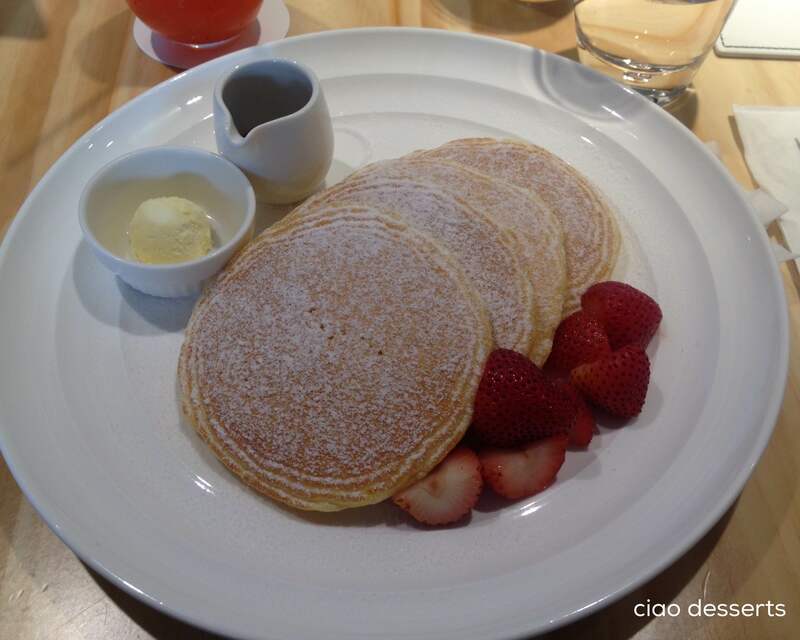 Sarabeth’s is located in the basement level of the Dunhua Branch of the Sogo Department store. To be honest, I thought it was a bit odd that the Taipei branch is located in the basement, considering the locations in New York City have lots of windows, and are bathed in natural light. In addition to being dark, the tables are too close together, and the entire restaurant felt very crowded. We decided to keep things simple and order Sarabeth’s classics. 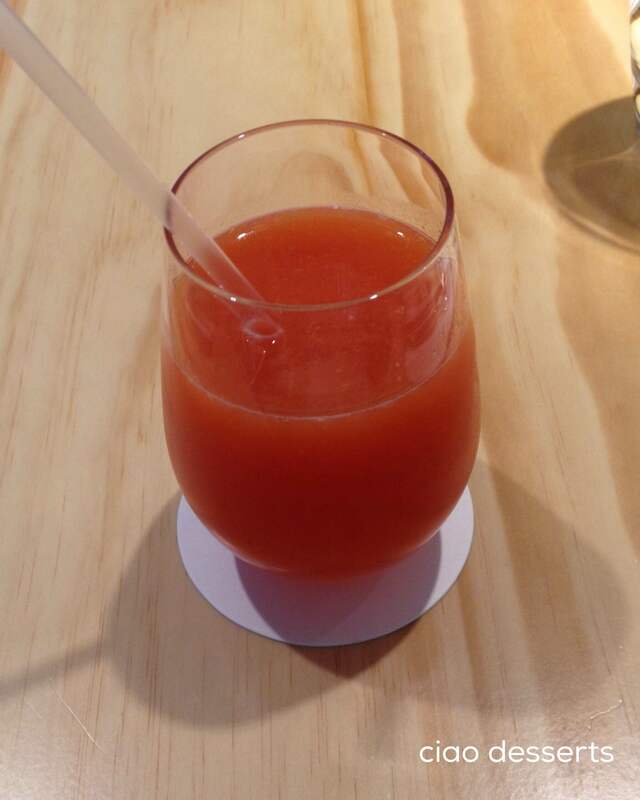 To start, I ordered their four flower’s juice, which is a refreshing combination of orange, pineapple, banana and pomegranate juice. The glass looks small, but it was actually just the right amount. We ordered their classic breakfast selections, the Fat and Fluffy French Toast and buttermilk pancakes. 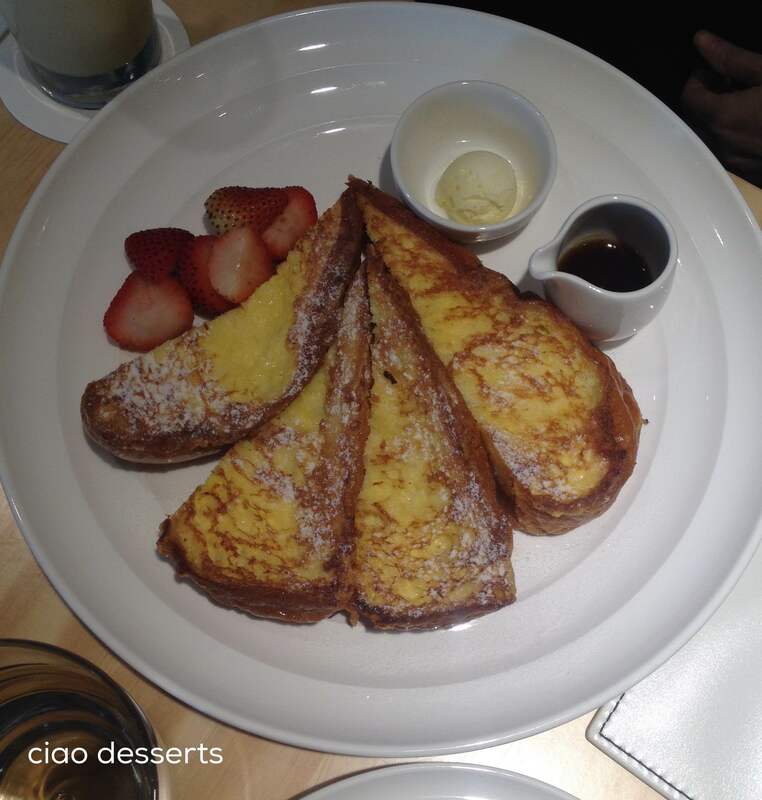 The French toast was indeed fat and fluffy~ and very delicious indeed. The buttermilk pancakes were quite possible the very best buttermilk pancakes I’ve had in a very long time. (Ignore the fork marks on the pancake… the pancakes smelled so tantalizing that I was ready to dig in even before taking a photo!) They were light as a feather, and had a light vanilla and buttermilk flavor. (This is an occasion when you throw caution to the wind and just slather on the butter and pour on the syrup). The food experience at Sarabeth’s was wonderful. 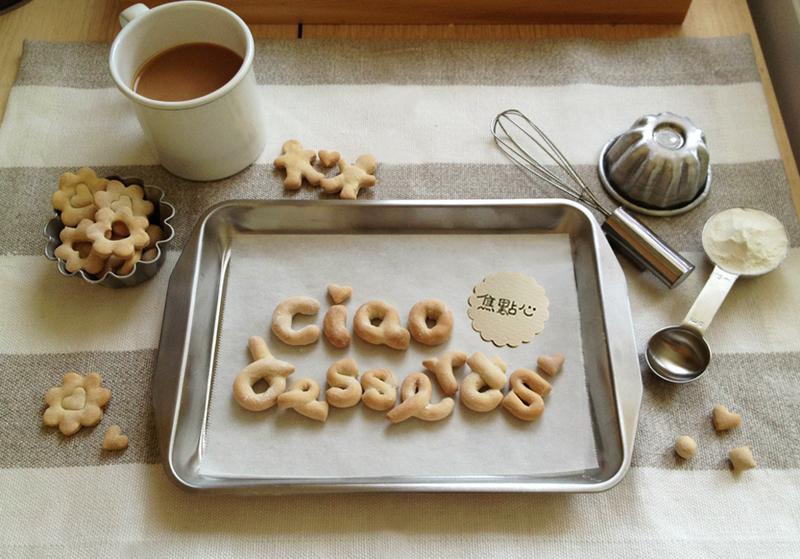 The ingredients were fresh, the flavors were lovely, and the servings were just right. However, I do think the overall experience would be even better, if there were fewer tables, and brighter lighting inside the restaurant. P.S: Now reservations can be made online.